We look forward to serving you and welcome your comments. For specific questions, please contact the appropriate department below. 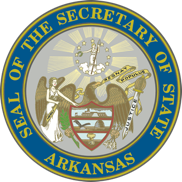 For scheduling requests for Secretary Thurston, please email details of the event to scheduling@sos.arkansas.gov. Phone: 501-682-3409 or toll-free outside the Little Rock area: (888) 233-0325.